This week, I travel to San Antonio for the International Reading Association’s Annual Convention. This is my first trip to IRA, and I was fortunate enough to be invited by Julie Coiro to help facilitate the pre-conference institute entitled, “Using New Technologies to Engage Readers and Encourage Student Voices.” My portion of the institute will be to lead the opening keynote “Raising Digital Writers” and then to talk about using a wiki as an online space for hosting a digital writing workshop. Of course, this institute is about literacy in the broadest sense, but since it is specifically focused on reading and new technologies, I want to target my session to meet those needs. 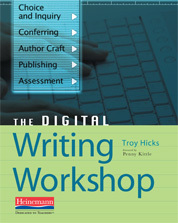 In that sense, what does it mean to “read like a writer and write for a reader,” especially in a digital context? 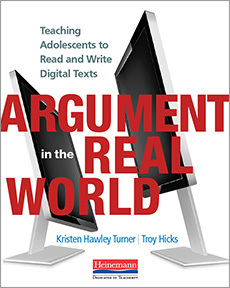 How do we help students become more engaged in the process of creating digital texts that are meant to be read, heard, viewed, and experienced through computers, smart phones, and tablets? What is it that we want our students to know and be able to do in order to show depth of understanding and strive for meaning when creating digital writing? First, I have been a part of the NCTE task force that has charged with the task of creating a summary document about the effects of computerized scoring and writing assessment. As we have been compiling our ideas, I have been sharply reminded of the fact that the “next generation assessments” promised by PARCC and SBAC could still be evaluating students on very traditional measures of writing such as sentence length, spelling, and grammar. Don’t be fooled. Even though the tests will be administered on a computer, students will not be creating robust pieces of digital writing — with links, images, or other media — meant for other human readers. Sadly, I think that this is a case of formulaic writing moving from pencil and paper onto a computer screen. Second, I just finished up some consulting work with the Columbus Area Writing Project, and I was reminded of the power of intention in all kinds of writing, including digital writing. Just because a student is producing something with a computer or smart phone — whether it be a word processed document, a text message, or a video clip — doesn’t necessarily mean that they are using creative ideas in an intentional manner. They could just be filling in the blanks on an assignment or, worse yet, composing a message and sending it out to the network without thinking much about it at all, especially in regard to who will read the message and how it will be read. Third, I was a guest teacher in two sections of my CMU colleague’s creative writing classes. 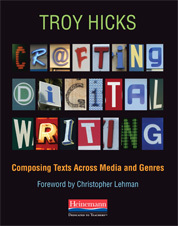 During the first class, as I presented some ideas about and examples of creative digital writing, I inadvertently set up creative/digital as a dichotomy to overcome, not a duality to embrace. In the 15 minute break, I was able to rethink the way that I introduced my presentation for the second class, and this read to a much more robust conversation that was focused on possibilities, not limitations. 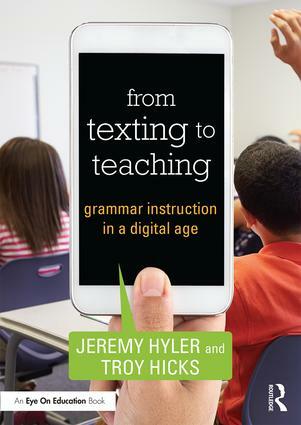 Given recent attention in the news to such trends as state legislatures requiring cursive writing and explicit grammar instruction, I need to be careful to make sure that I am not setting up digital writing as a dichotomy. Finally, my own ENG 315 students have been finishing up their multigenre research projects. More than ever before, I find that they are producing their products on websites rather than turning in binders (specifically, Weebly was the clear winner with this semester’s students). As we think about the options that students have available to them for producing digital writing, as well as how we will consume those texts as readers, I am becoming more optimistic that the new generation of teachers will be comfortable in a print and digital world; with thoughtful coaching and practice, they will understand how digital texts are composed and, therefore, better able to discuss text features and comprehension strategies with their own students. 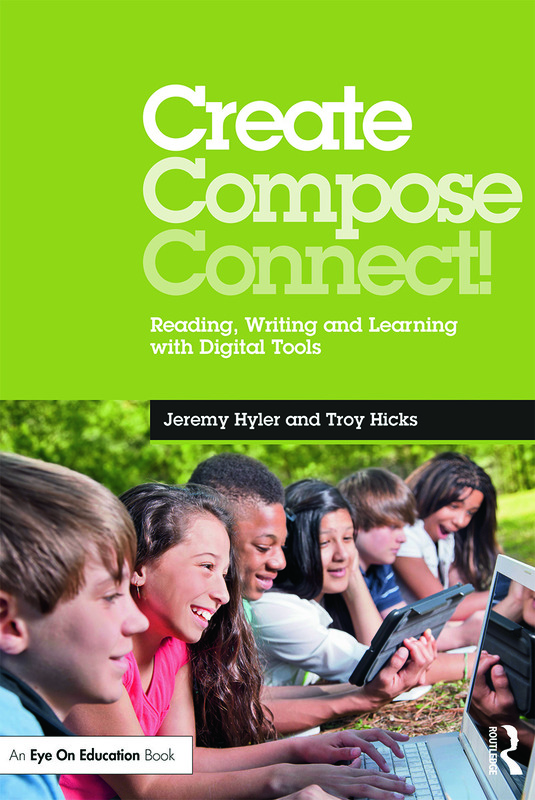 Because teachers are seeing themselves, more and more, as digital writers, I hope that they are becoming more comfortable with the process of digital reading as well. All this said, I still need to get my slides in order for this week, so I welcome any comments or questions on these ideas as I think about how to condense them into a coherent 45 minute presentation that will begin a day of exploring reading and technology. What else is going on in the world of digital reading? How are your ideas changing as more and more students bring devices to school or have access to them in their own lives? 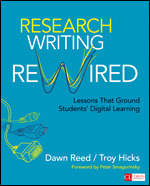 What would a group of teachers who are attending this session need to know about raising digital writers (and readers)? Blogging expands both the audience for writing as well as engages students in a variety of reading skills. Students can post on their blogs book trailers and share with others responses to literature being reading across classes: Excellent way to receive different responses or interpretations to a piece of literature. This can also lead to Skypes and other forms of video chat between or among classes. 2) Also might mention the Global Read Aloud, a yearly event in the fall. For more information, see Global Read Aloud site maintained by @pernilleripp. http://www.globalreadaloud.com/ Also, see the wiki: http://globalreadaloud.wikispaces.com/ One of last year’s selections was The One and Only Ivan, which was “a bit hit” with students. The conference looks enticing. Thanks for your post on Twitter. Your own blog post is an excellent example of how digital tools have expanded our reading experience as well as changed the way we read and respond to reading. Finally, we use Google docs to “illuminate” a text. Text is on a Google Doc and students add “links” to words (Youtube videos/music, definitions, websites) as a close reading exercise. Hope this helps! the audio and visual learning that an e-learning medium can provide. I like the educational websites, like videoclass, a poignant education based website which not only provides videos on all subjects areas taught in the United States but also invites learned proffesionals to make and sell their own videos so they can share their knowledge with the world.